While sitting back in your favorite chair– You start to sip the aromatic, enticing coffee… and this perfect blend of coffee gives your TASTE BUDS AN EXPLOSION! Thus instantly gives you a feel good factor because of the power of the herbs, which brightens up your day. You see, this person is no ordinary coffee expert. Their family had been coffee experts for generations. You know, it takes a lot to satisfy a coffee expert’s taste. And years (or in this case, decades) of experience in this field to find the most valuable deals (so that we can pass on the value to you). Bringing their expertise a step further, (with a herbal specialist) they formulated the best instant coffee that gives you additional health benefits by adding pre-selected herbs to the formula. Secret Coffee Formula Is Out + It Instantly Makes You Feel Better! … And thus the company Coffee Omega was formed with the intention to bring affordable premium instant coffee—with additional health benefits to each and every one of us. The company was incorporated in 2007 but we had been coffee lovers since forever. As you know by now, our insider has generations of experience that has been closely guarded within their family. And now that it’s finally public, many has come to love this special-formulation-blend of coffee. We have our own factory and we are able to monitor each manufacturing process closely. 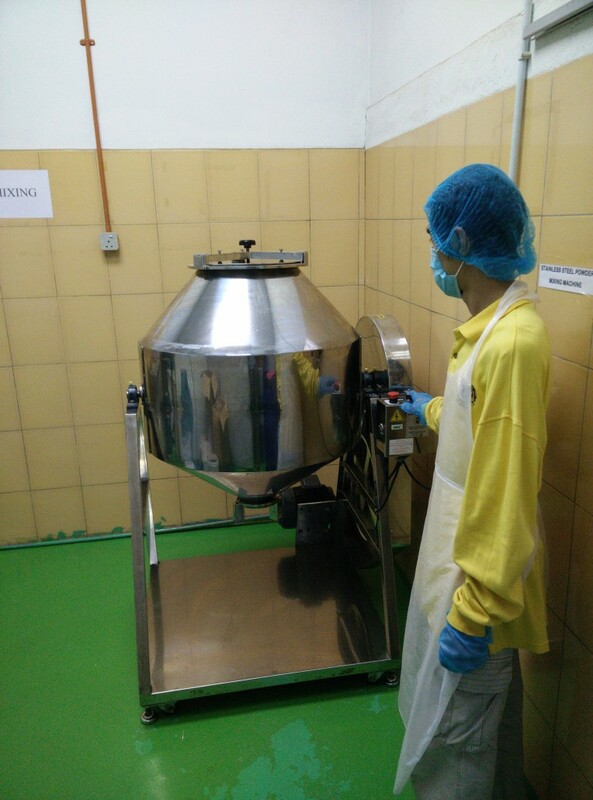 We make sure that our manufacturing standards follow the strict guidelines such as MeSti, Halal Jakim, 1Malaysia Best, UNIDO. We clean our machinery every day after usage—so you can be sure that you are buying clean, quality products. 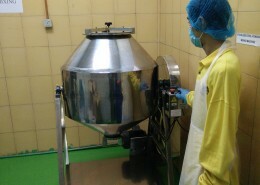 Before being hired, every worker needs to be screened and a typhoid vaccination (to prevent salmonella) is mandatory to handle any areas of production at the factory. Each and every one of our workers have to go through a cleaning process before starting work. Factory worker uniforms are provided to ensure the clothes they wear in the production area are clean and free of dirt etc. We’ve won exceptional awards as proof of quality and commitment. 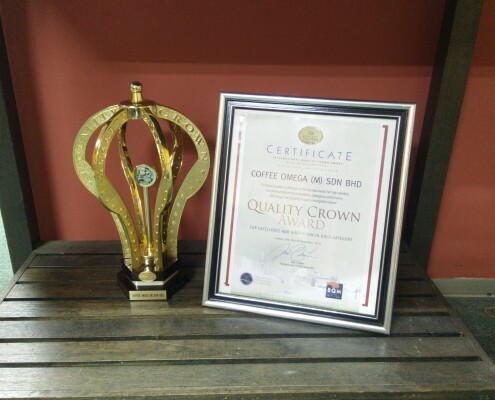 Being the first coffee company in the world to receive Business Initiative Directions (BID) “International Quality Crown Award” in the Gold Category For Excellence and Innovation, in London- to recognize Coffee Omega’s quality and premium coffee. 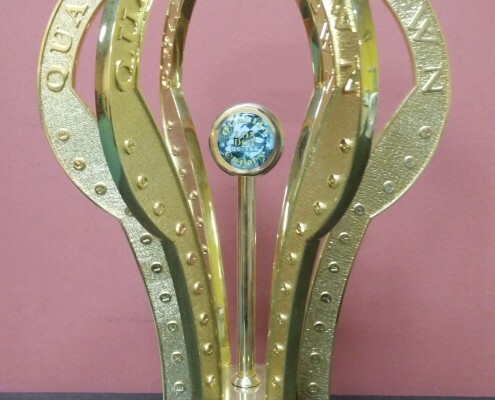 This award puts us in the same prestige level as other previous award winners such as WalMart stores, ING Funds, Sheraton Harare Hotel & Towers, UNITEN to name a few. Today, many have started to cherish the taste and see the benefits of drinking Coffee Omega Premium Herbal Coffee, and we invite you to challenge your taste buds for a premium coffee experience with us. As attractive as our products are, our marketing experts tell us that there are very common questions that first time customers ask before buying. Although that’s okay with us from a business standpoint, it still bothers me personally. You see, I know how much the users of our products benefit from it. For the first time customers, we’ve read their questions. We’ve talked to them on the phone. We see them personally when they visit us or during roadshows; and every time they tell me “coffee always gives me a headache after so I don’t’ drink coffee”. Because of this, we just hate that the thought of someone not getting our product because of past experiences with what other coffee brands gives them. Does drinking Coffee Omega gives me headaches after or gives me the jitters? 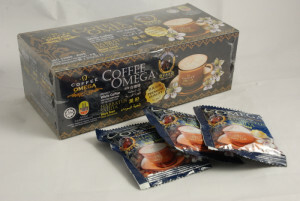 Coffee Omega Premium Herbal Coffee won’t leave you jittery or give you those pesky headaches or migraines. Why? It’s because of the quality of coffee we use. We only use high grade coffee for our products and no artificial flavoring or no artificial anything at all, which causes those negative effects. Does drinking Coffee Omega leave a bad taste in my mouth? Our products does not you leave you with a bad aftertaste. Again, this is because of the quality of coffee and hand selected herbs that are used and perfected throughout the years. We welcome you to be the judge. As Herbal Coffee, does it have a weird smell or taste? Our products does not have a bad smell that makes drinking coffee difficult. Coffee has got to smell good in the first place. Because that’s what people do before drinking coffee. You breathe in the aroma, smile, sip it and then smile again with satisfaction. Note that we mentioned the secret formula earlier? It’s in the formula. And yep, you guessed it. The quality of coffee and herbs also plays a role. Well you might think that if you compare our prices to normal coffee products. Which might give you the bad experiences and consequences above. Now compare our prices to other premium coffee brands– and that’s where you’ll see our advantages. How much would it cost for a cup of good tasting premium coffee at your local coffee joint around town? RM5? RM10? For one cup! Our prices are approximately RM1 per cup, for a premium cup of coffee J. See the savings you get there? Not to mention the additional health benefits which you also get. — Keep a habit of drinking a savory cup of Coffee Omega daily. As our selected herbs works with your body’s own healing process, you’ll feel more energized, more replenished and happier about the positive changes in your life. Do the things that you weren’t able to do previously but now you could with a healthier you. — you won’t get the jitters or headaches after drinking a cup of Coffee Omega. Many people relate jitters and headaches to not being able to drink coffee. But the truth is– it’s because of the coffee’s quality and artificial flavoring (which sometimes includes chemicals!). Some of our competitors might have competitive prices– but what they don’t tell you is that they have artificial flavoring included in their products. To bring the cost down and get that premium flavor. Sacrificing cost for flavor… and your health! We don’t believe in that philosophy, so here at Coffee Omega we only use top quality ingredients and no artificials at-all. You’ll also get more value compared to what other premium coffee costs out there. Compare a cup of premium coffee at your local coffee shop and it’ll probably cost you around RM10.00 (FOR A CUP!). 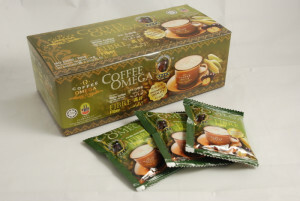 Now compare it to Coffee Omega products which costs around RM1.25 a cup and you’ll see the savings there! In fact, we welcome you to do your own comparison of our coffee products and judge for yourself… We’re that confident that you will choose us based on our real customers feedback, who still are our customers till this day! Perfect for people on the go and suits the fast paced lifestyle of today. It’s ready to go anywhere you are. A hearty cup of coffee with that heavenly aroma– at your convenience. It’s not just ordinary coffee. It’s coffee with a kick! The best instant coffee plus added herbal properties gives you a boost to get you through your day by using specially selected herbs to add to this benefit. It’s easy to whip up a cup anytime, anywhere. Never again will you have to go through all the hassle to prepare a full bodied brew-rich cup of coffee. Simply tear the sachets and add hot water. It’s easy as 1…2…3. Literally. 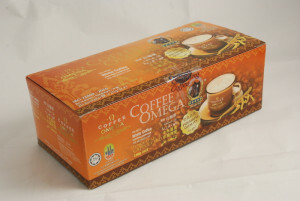 Switch your daily coffee drinking routine with a hearty cup of coffee omega and reap the benefits of a healthier you. Enjoy a cup together with your spouse. With a healthier body, you’ll be able to enjoy more quality time together. Bring it along on your travels. You want to cherish your travels and you want to appreciate this time as much as possible. Just add hot water and voila! Premium coffee right there, just the way you like it. That’s what we call vacation with class and it helps you cope with all the tiredness travelling gives you. Plan a day out with your friends or family. Take a cup before heading out or bring it along with you and take one during your activities. Keep yourself feeling revived and active throughout the day. Prepare one right before you start work or at your office. It will give you a boost to get things done and keep yourself focused. No more morning lag and you’ll be able to impress your colleagues and bosses with your sharpness and newfound health. Missed a cup during the workday and feeling tired? No problem. Prepare a cup after and it gives you that ahhh moment after a stressful workday and gives you’re the revitalization you needed… Just add hot water, breath in the aroma of the perfect blend of coffee, sip it and smile. Blended with Tongkat Ali herbs (Eurycoma Longifolia) which is known to contain anti oxidant from SOD (Super Oxide Dismutase) which is important to the immune system for combating against the ravages of free radicals which is the root of many serious diseases. Blended with corn and palm cellulose specially imported from Japan. This high quality fiber content is bio-soluble in the digestion system that aids in transporting fats for burning, promotes sugar regulation in blood and improves bowel movement. Want To Make Your Own Brand Of Coffee?